From our Reading, Berkshire base we provide a free survey and advice to reupholster and repair your office chairs. Our advice is free for any forthcoming re-upholstery and repair projects. All chairs are checked, upholstered, cleaned and ladled. Take a look at our before and after gallery. Our reupholstery services are provided throughout London and the South East. Our re-upholstery services are truly transformational, our highly skilled in-house team re-upholster literally thousands of chairs yearly. All work is completed in-house and fully guaranteed. With over 30 years’ experience, we have completed work for thousands of satisfied clients. We are based in Reading, Berkshire close to junction 11 of the M4 serving London and the South East. 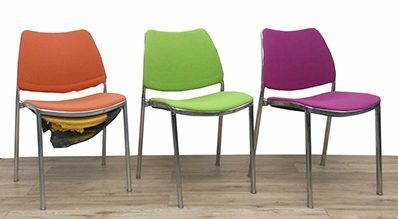 In some cases, it may be more economical to purchase replacement chairs, which we can supply and deliver, often with an exact or very close match to your existing furniture and colour scheme. 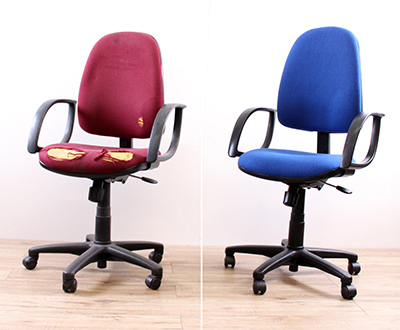 We hold many common office chair components in stock, from castors to new mechanisms. Most parts are available from all the leading manufactures. 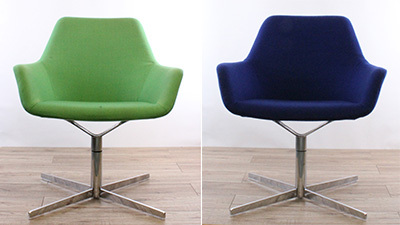 HSI supply furniture to order. Our cabinet makers and frame makers can manufacture item to order or to match, we have completed numerous commissions for many clients.